← The Walking Dead: Is Daryl Dixon Gay? This Saturday is International Bacon Day. Yes, it’s real and yes you should celebrate it. Sure, there are a ton of food holidays out there but let’s be serious, this one is probably the most important. Bacon’s popularity has skyrocketed in the past few years and it’s literally everywhere. While a total bacon shortage seems unlikely, this perfect pork product is getting more expensive. Salty, savory and sweet, we’ve rounded up some of our favorite recipes that feature this porcine delight. For the adventurous home chefs out there, we’ve even got a recipe for curing your very own bacon. Apologies in advance to the non-meat eaters. Cured meat is prized food product in many countries around the world. This bacon recipe is a classic all-American version, but you can spice it up with different flavors. 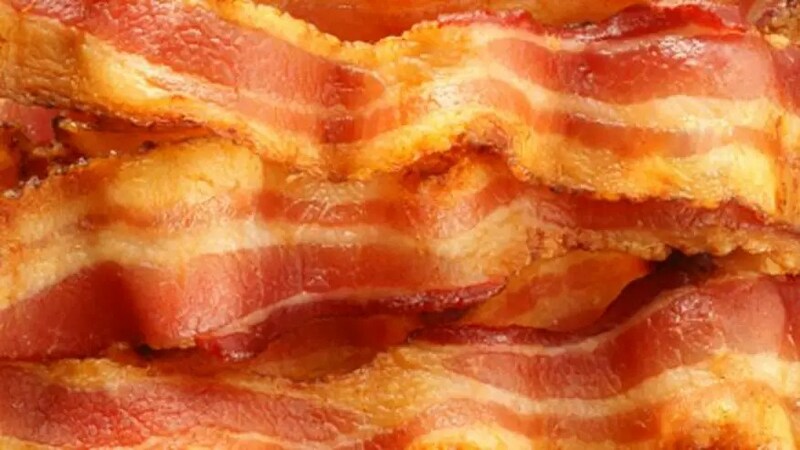 e bacon recipe is so simple, you’ll wonder why you never tried to cure your own bacon before. Maple syrup is sweet, syrupy, and so good in these cupcakes. 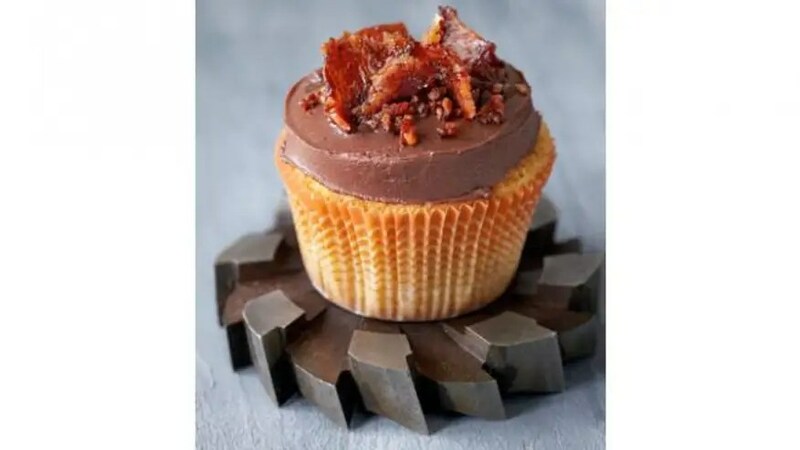 They’re topped with a mound of milk chocolate and sprinkled with candied bacon bits. What’s not to love? We like to chop up the bacon really fine – but if you prefer big chunks on top, we say go for it. 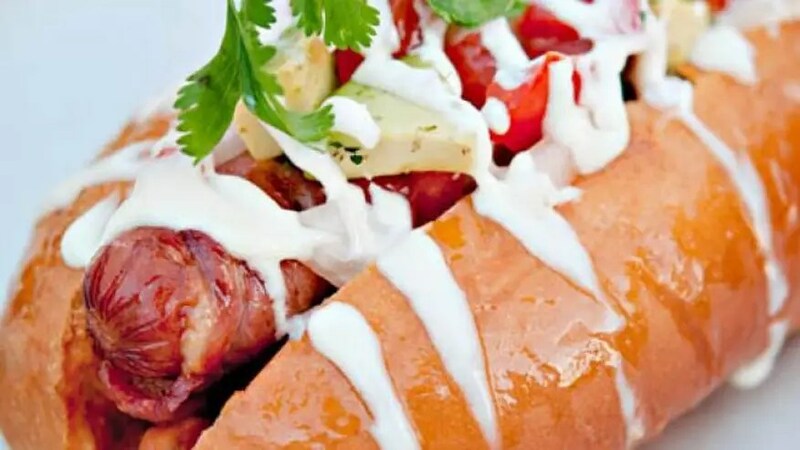 If you’re looking for a way to spice up the hot dogs at your backyard BBQ this summer, think “south of the border.” Bacon-Wrapped Sonoran Hot Dogs load all the flavors of the old Southwest inside a single bun. Serve this versatile condiment with just about anything. We recommend it as a great burger topping or all by itself on grilled bread. All the basic tastes are there (salty, sweet, sour, bitter, umami) plus some spicy heat. 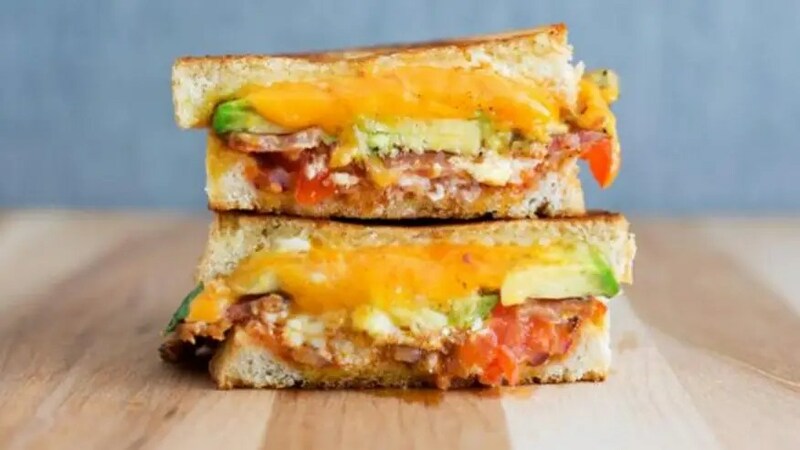 This grilled cheese is packed with ingredients and flavors that are sure to fill you up and satisfy those taste buds. These versatile mini poppers can be filled with chicken or scallops. 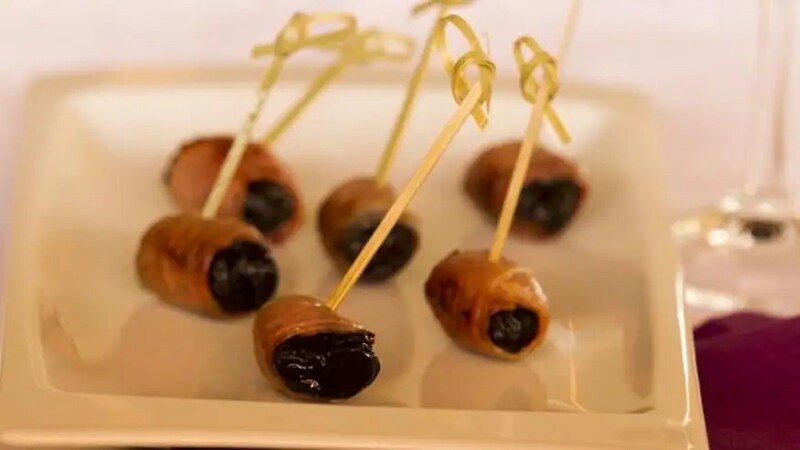 They make a great appetizer or perfect party treat. 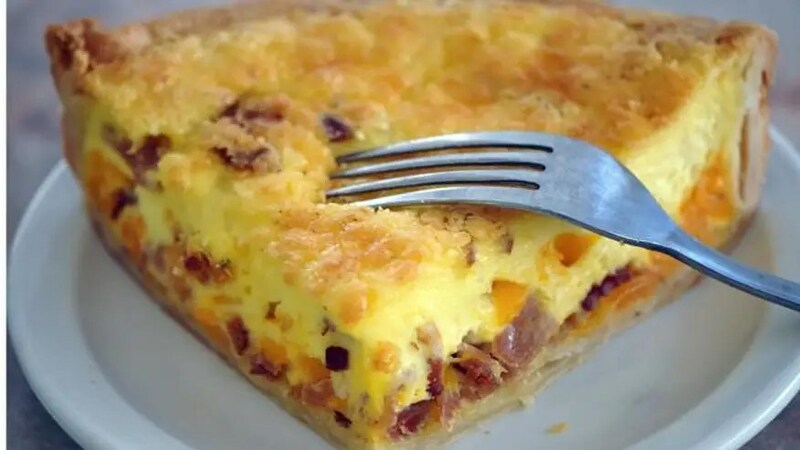 What better a way to feed a large group for brunch than with a quiche? 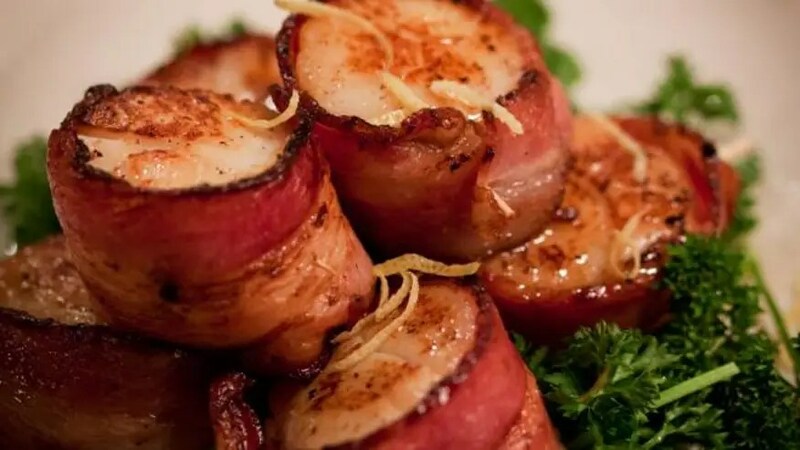 This recipe from A Taste of Virginia Tech cookbook is not only delicious and easy to make- it can also be made the night before and heated up right before your guests arrive. This appetizer is from the Lapostolle Residence, Chile’s first Relais & Chateaux property and part of the renowned Lapostolle winery. 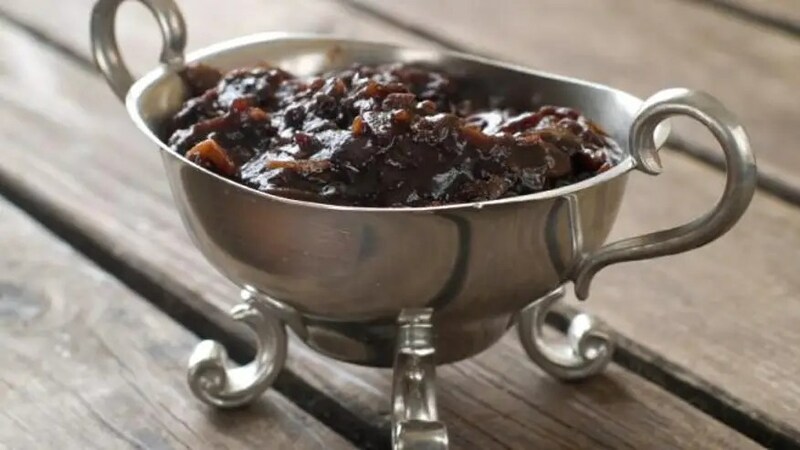 It combines savory bacon with sweet prunes to produce a delicious bite-sized holiday treat. Tagged as bacon, bacon pictures, bacon recipes, cured bacon, foxnews.com, international bacon day, maple bacon cupcake, meat candy, Today Is International Bacon Day!